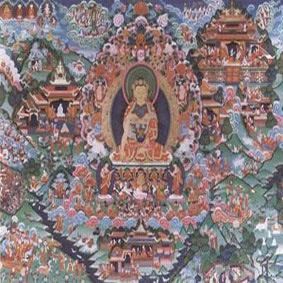 Bon or Bonism is the indigenous religion of Tibet before the arrival of Buddhism. Its name was probably derived from the ritual recitation (“Bon” means invocation). Followers of Bon are known as Bonpo or Bon-po. It is very controversial if Bon has influenced Tibetan Buddhism or the other way around. But they have learned from each other definitely during the long period of time. 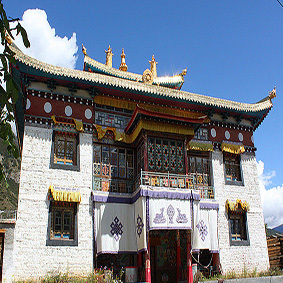 Although there are some similarities between Bon and Tibetan Buddhism, Bonpos firmly believe that Bon is distinct from Buddhism and it has own characteristics and significantly contributes to Tibet’s history and development of culture. Bon is divided into original Bon and modern Bon. Original Bon refers to the indigenous religion in Tibet which is a system of shamanistic and animistic practices and it is hard to find its exact origin. The second stage of Bon is called Yungdrung Bon or Eternal Bon. 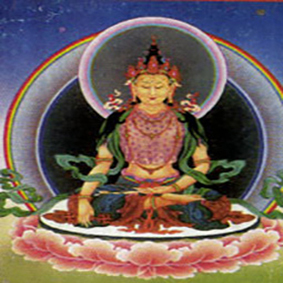 In this stage, the Bon doctrine is founded and taught by Tonpa Shenrab Miwoche, a figure like Buddha. Shenrab lived 18,000 years ago in Zhang-Zhung, which was a kingdom near Mt. Kailash. He converted people from original Bon to Yungdrung Bon by teaching them how to attain enlightenment. The third stage of Bon is called “New Bon” which has been practiced till today. New Bon reflects Tibetan Buddhism in some way, especially from Nyingma, and share the commitment to the enlightenment of all sentient beings. Moreover, Bon has deeply influenced Tibetan arts, philosophy, medicine, rituals, dance and astrology and it deserves more research and protection.